After a seeming hiatus on the Hypnosis for Running blog, we are back in action. I shall be running London and Edinburgh marathons in the Spring, then a large ultra marathon in the Summer and will then be running all four Bournemouth marathon festival events in the one weekend (5km, 10km, half marathon and full marathon races one after another) next Autumn. I’ll be doing them all wearing the vest of a charity that is very close to my heart indeed. With all of that in the pipeline and having spent the past year with injuries, illness or trying to juggle a very hectic work schedule and home life (my 3yr old and 1 yr old are a handful and a half, and I just want to spend all my spare time with them!) I have spent the past couple of months making some major preparations, building up my mileage, searching for some speed and importantly researching and working alongside a number of impressive mentors and coaches. I feel renewed and invigorated as far as my running is concerned. In the next week, I’ll be writing about these preparations and the research and the changes that I have made. This includes my diet, my running technique, my use of technology, as well as all the psychological processes that I usually share here. In coming blog entries I’ll be writing about how I have advanced my running technique in the most enjoyable fashion. I have had advice and guidance from some leading and very popular figures who all use science to support what they do. One of the common themes that I seem to have encountered even more recently, is the idea of being light on your feet. In years gone by a podiatrist mention the idea of running and acting as if I was light on my feet, I remember reading Stu Mittleman’s book ‘Slow Burn’ which advised to run with closed hands as if you were holding a piece of paper in between fingers and thumb and a lightness of foot, and the Chi Running authors gave me much on this stance too. However, the recent advice has advanced this notion in much more depth and I’ll expand on that soon, today I thought I’d add to one of the most recent former posts here (Using self-hypnosis to Get Light Legs and Bouncy feet When Running) and show you another technique I have been using; applying self-hypnosis to get lighter legs when running. This is something I have had to work on a lot. I have a thick set build, I have tree trunk legs better suited to playing Rugby and Football as I did in my younger days, I am 6’ 2” and my weight still tends to plateau at around 14 stone when I am in the heavy mileage stages of marathon training (slightly more at other times). Being light on my feet is not something that comes easy to me. I run in a very muscular fashion (well, I used to run, I am changing this currently) driven by raising my thighs, flexing my hips and pumping my arms strongly; there was nothing dainty about how I ran. Yet still managed to muscle in on some pretty impressive marathon times that I am very proud of today. I want to do better though. I’ll explain how I plan to do that in the coming Hypnosis for Running blog entries. 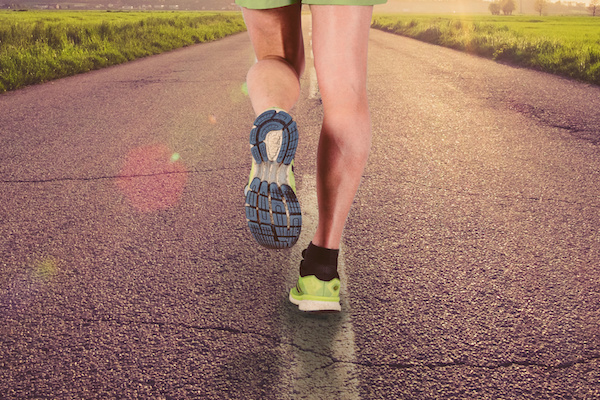 For today, enjoy this simple self-hypnosis process for getting lighter legs when running. Here is a simple self-hypnosis session to use and combat heavy legs then. Follow these steps…. Imagine being out on a run. See the sights, hear the sounds, notice your feet upon the floor, notice how you feel to be running. Make it as vivid as possible. Let every sight, sound, feeling take you deeper and ensure you are more deeply hypnotised. Spend enough time of this step to get into deep hypnosis, get absorbed and focused and then move on to the next step. Start to imagine that you have very heavy weights attached to your legs. Notice how that slows you down, how you almost drag your own feet around and maybe you can imagine that you cannot even run, you start to walk but strain to put all your effort in to develop any rhythm. Keep on with this and notice how difficult it is. Imagine your arms trying to swim in treacle. As you move your arms with each heavy step, imagine they are heavy and struggling as well. When you have really developed a sense of heaviness and imagined it being there in your legs in particular, move on to the next step. Make the treacle disappear. Imagine now that the weights are removed and the instant sense of lightness you have in your feet and legs. You are free of those constraints and the mobility, agility and lightness in your entire being is amazing. In particular your legs feel lighter and lighter with each step you continue to run. Notice that each time your feet hit the ground, they seem to just be propelled effortlessly upwards again. Additionally, now imagine that your legs have the lightness of a feather. 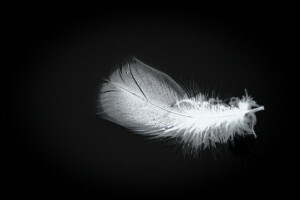 Be aware of the qualities of a feather, how a gentle breeze can send the feather flying into the air. Imagine that as your legs pass each other with each step, the breeze created lifts the leg up into your stride as easily as a feather being blown upwards. Spend plenty of time on this, imagining running with a tangible sense of lightness in the feet and legs. When you have fully imagined, as vividly as possible, that your feet are light as you run, then move on to the next step. As you say the words, invest all your belief in what is happening. That is, believe what you are telling yourself, and believe that your legs truly are feeling lighter, believe that your feet are bouncier, believe that you are more comfortable as you run. Undeniably convince yourself and you’ll notice the effects much more. Just continue with this step until you reinforce any effects occurring, all the time tell yourself you are deeper hypnotised, more focused and absorbed in the process, then move on to the next step. Exit hypnosis. If you follow the protocol from my books or teaching, count yourself up and out from one through to five. Otherwise, wiggle your fingers and toes, take a few deeper breaths and open your eyes to bring the session to an end as you reorient yourself to your surroundings. 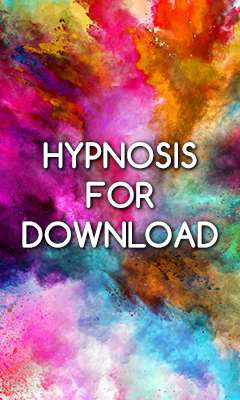 As I said with virtually every other technique I have added here, you can now practice this in depth during self-hypnosis once or ideally twice daily for at least a week. Do continue practicing it in hypnosis for several weeks, but after the first week of practicing and installing it, use it when out running – engage in the imagery, the cognitions and invest the belief so that you bounce along with light feet during your runs. It’ll make some runs a LOT of fun too. There’ll be much more regular input from me in coming weeks. The Reasons for Regular Napping, and the Science to Support It. Celebrating 21 Years As a Hypnotherapist!